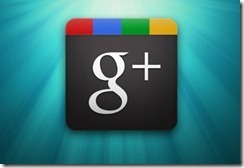 Get a free invite to Google+ if you are not yet a member! 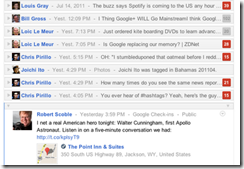 Add a Gmail inbox notifier to the top bar, so that you do not have to keep a gmail tab open. 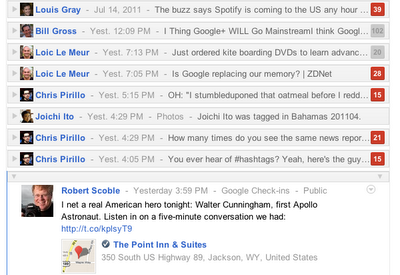 Clicking on the Gmail icon shows a menu with the unread messages that let you access your emails directly inside Google+. Start+ isn’t stopping there though. It has a host of very cool features in the pipeline. The one I’m most excited about, and one that Google should build in by default, is Custom Streams. This will allow you to combine multiple circles to form a new stream. Essentially, allowing you to put streams in streams like Friends+Family, where Friends and Family are each circles. The extension intends to provide it’s own URL Shortening through sgplus.in so that if a post is long it won’t get truncated but instead a shortened link will be added to the end of the Twitter post to link to the full post on Google+. Also planned is a unified notification system that will bring Facebook and Twitter notifications. There’s more coming, provided Facebook doesn’t block this like they did the Chrome for exporting Facebook friends and the Open-Xchange contact exporter tool. 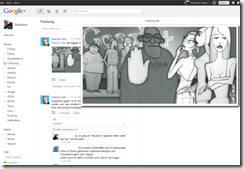 Adds stylized theme to Google Plus to add to the experience and make it easier to read. Allows option to move chat box to the top navigation as a drop down button. Ultra-compact navigation puts all of your navigation options in the menu bar. This is meant to be used on larger widescreen displays. Notification status visible at all times. 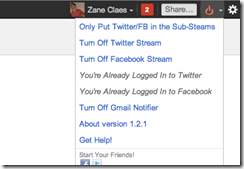 You no longer have to scroll the page to the top and you don’t have to keep going back to the browser tab with Google+. You will always know when you get new notifications because the browser button is always visible with a badge. Collapsible comments. Thanks to a side bar always within view, it’s quick and easy to hide hundreds of comments from anywhere in the discussion. Collapsible posts. You can hide and unhide a post without muting it. This is great if you’re not really interested in seeing a post and all its comments right now, but you still want to get back to it at a later time. The downside of muting a post is that you will never see it again and you stop getting any notifications of responses to any comments you may have made on that post. Mark comments as read. Collapsing posts/comments automatically keeps track of the comments you’ve seen; the extension remembers. List-mode option keeps at most one post displayed. Combined with real-time comments, this turns the stream into a dashboard: in one screen you can see activity on many posts at once and jump back and forth between multiple active comment streams. This will greatly benefit those who follow popular people who post a lot and/or get a lot of comments. Mouse-over instant preview. 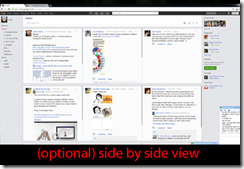 In list mode, hover the mouse over a collapsed post to get a preview of the content at the side. The preview is fully functional. +Photo Zoom does one thing: gives you fast and simple zooming for photos within your Google+ Stream. You simply hover over the image and +Photo Zoom will load the enlarged version of the picture. I remember when FFixer came out for Facebook, this quickly became my favorite feature… so much so that I’d be on any other webpage and find it incomprehensible that ALL images don’t zoom when I hover over them. 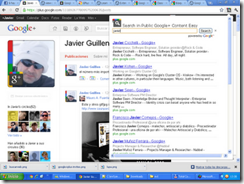 G+Plus Search is another one trick pony that aims to fill the gap by the search box on Google+. 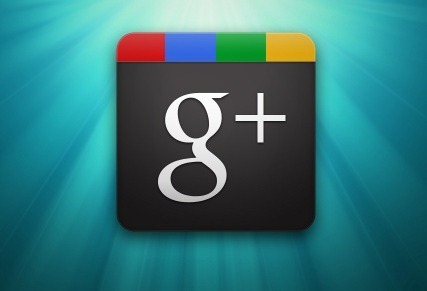 Right now search on Google+ is really geared toward finding users; not searching for content. I know, I know, that seems very un-Google of Google, and I’m sure that will change in the future but for now G+Plus Search fills the gap by allowing you to search the social networking service for keywords. 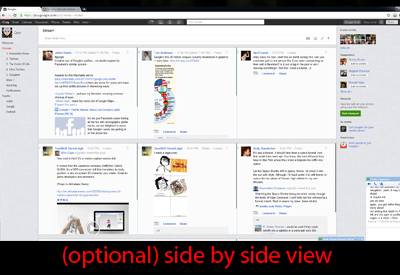 It will even let you choose if you want to search everything, just posts, only profiles, and even Google Reader. be. Instead, these products seem to be nothing more than fancy scented oil diffusers.